An experienced teacher can leave a lifelong impact on a student. However, with high turnover and burnout rates, experienced teachers are becoming rarer. For example, in 2014, 80 percent of teachers within the Houston Independent School District had fewer than five years of teaching experience. With math and science, this problem is even more acute. 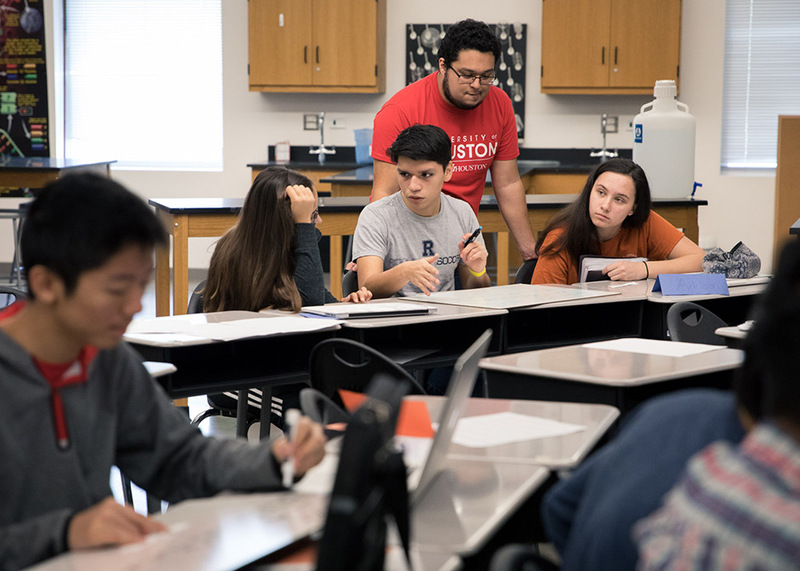 The teachHOUSTON program, which is a collaboration between the College of Natural Sciences and Mathematics and the College of Education, recently reached a ten-year milestone. Along the way, the program has produced 222 graduates, 95 percent of whom are currently teaching in the greater Houston area high schools. “Having these two colleges come together allows us to combine science content with pedagogy,” said Paige Evans, a clinical professor for the teachHOUSTON program. Evans, who came to the teachHOUSTON program in 2008 after spending 17 years teaching high school, is part of a team of master teachers with extensive experience. All told, teachHOUSTON master teachers boast over 100 years of experience teaching high school math and science. 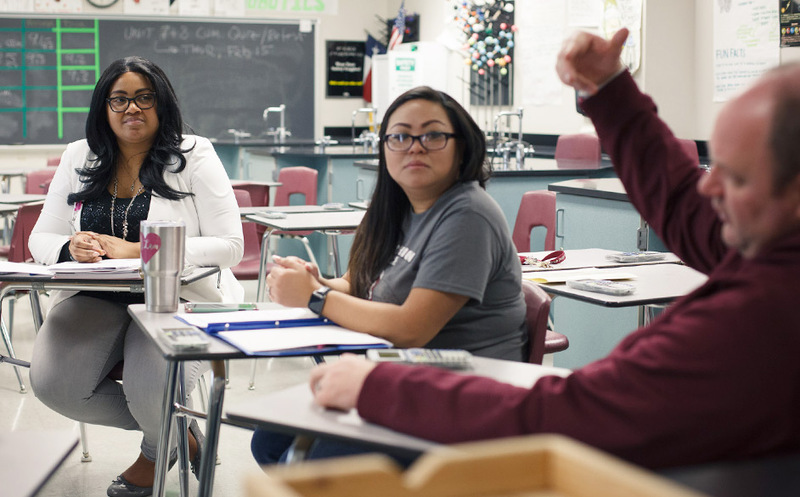 Students in the teachHOUSTON program obtain a bachelor’s degree from the College of Natural Sciences and Mathematics, while working on a minor in education. This program is designed to give students a range of classroom experience, with the final capstone being a semester-long student teaching assignment. Jacqueline Ekeoba (left) is a teachHOUSTON alumna who currently works as a science instructional coach. After teaching chemistry and physics for three years, Ekeoba is now a science instructional coach at Cinco Ranch High School. She is also working on a Ph.D. in education, so that she can continue supporting and developing STEM teachers. Ekeoba, who has remained active with teachHOUSTON, notes that ongoing feedback from graduates has helped the program adapt to serve the needs of future teachers.